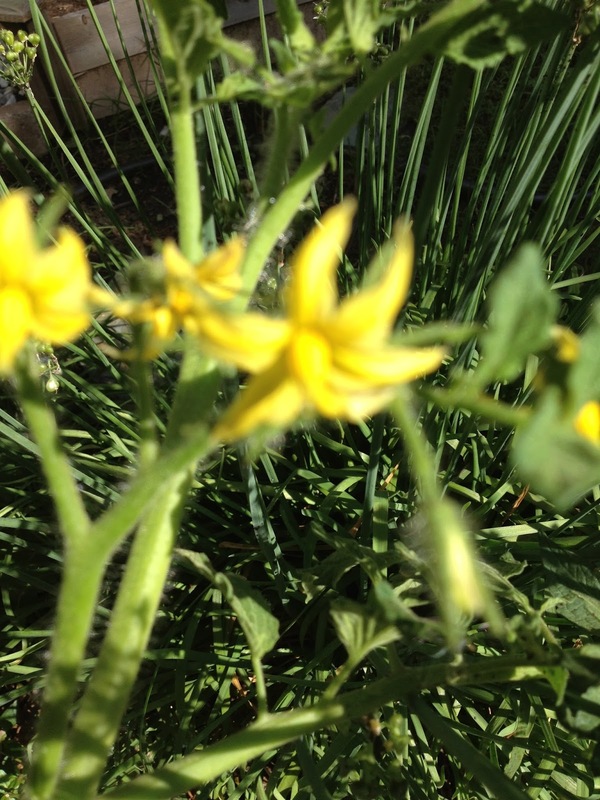 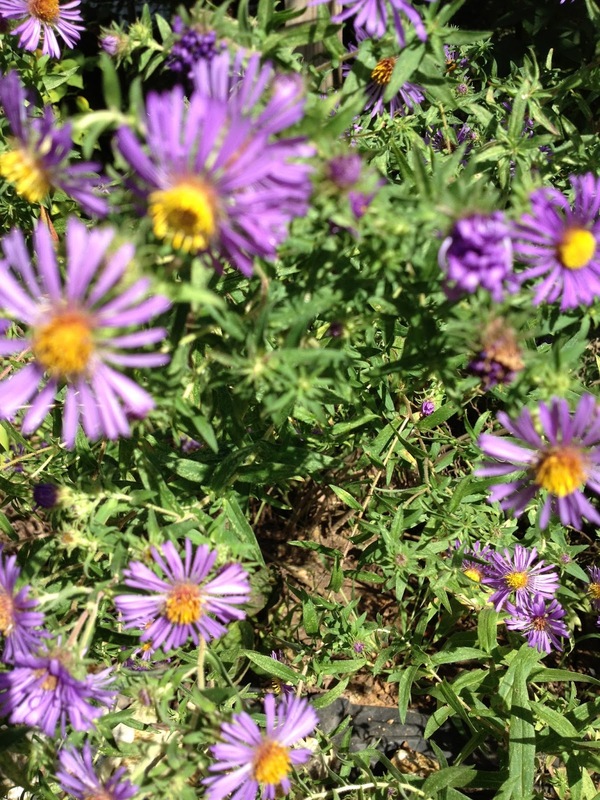 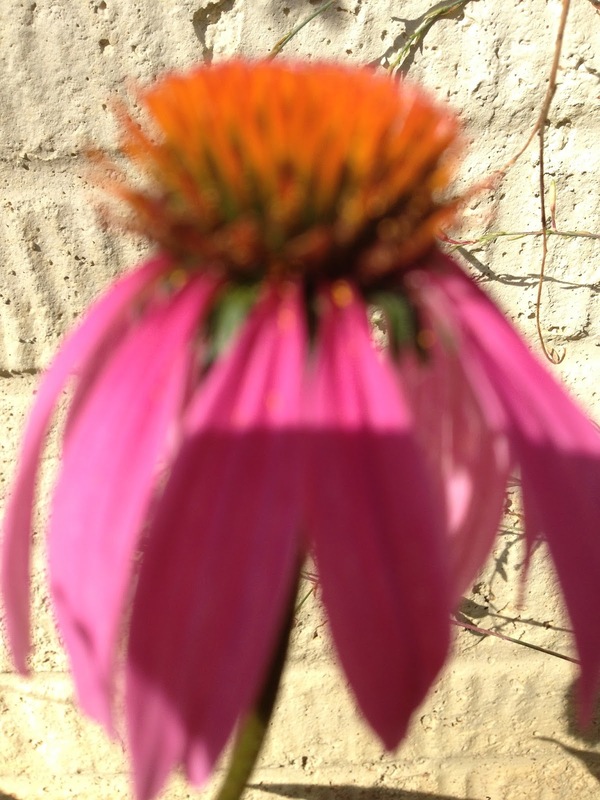 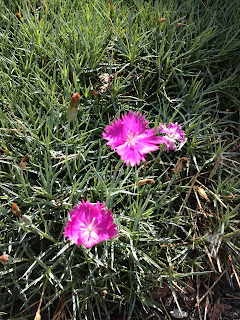 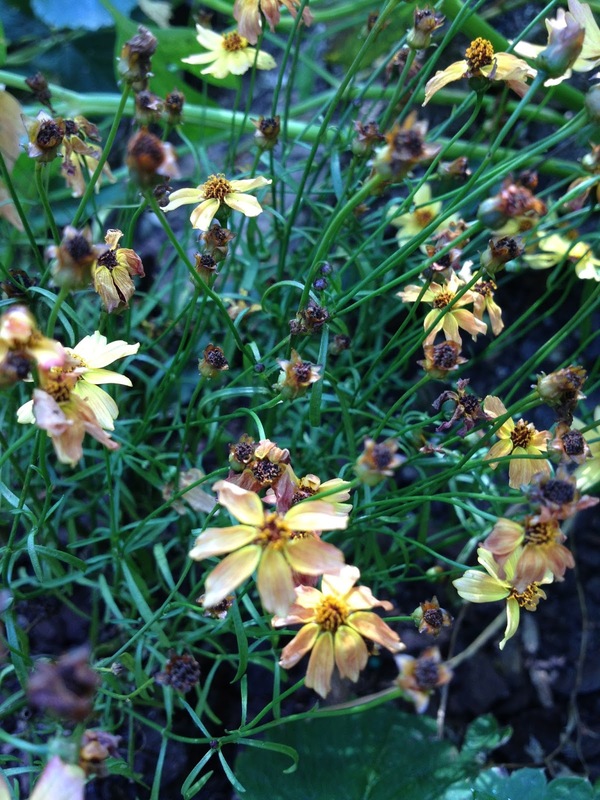 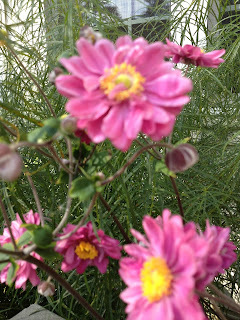 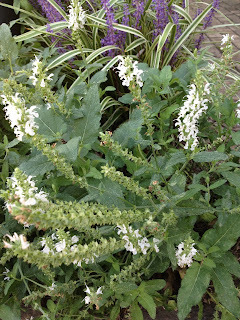 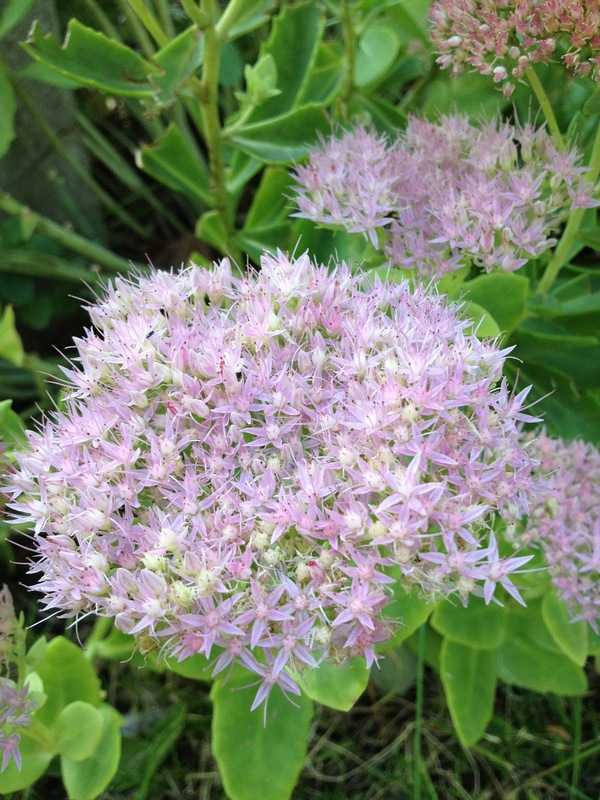 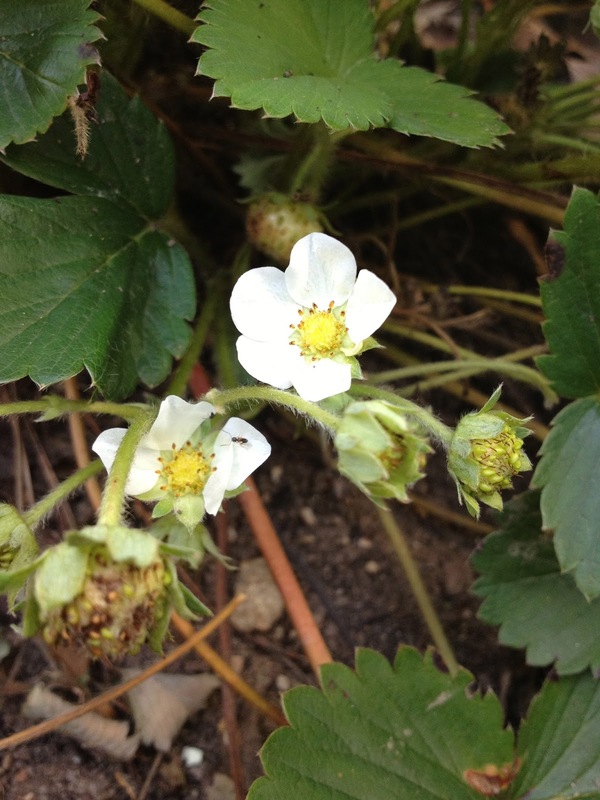 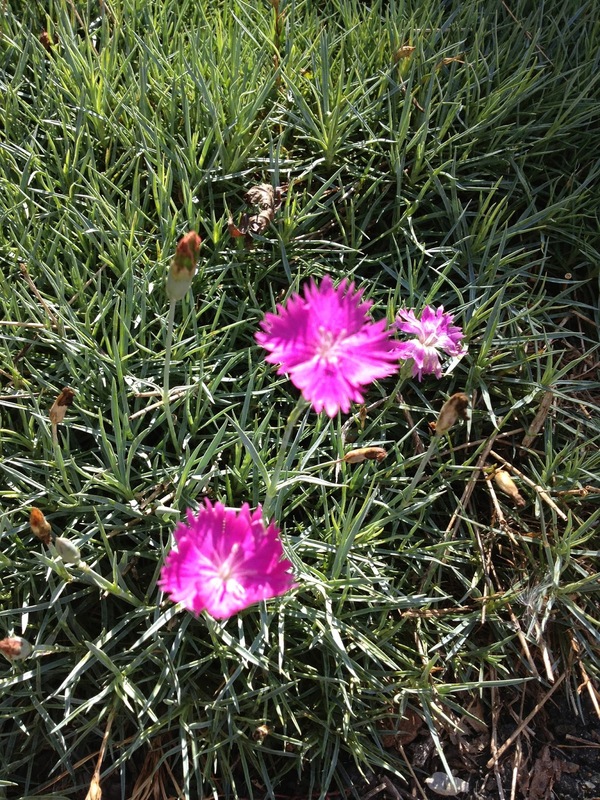 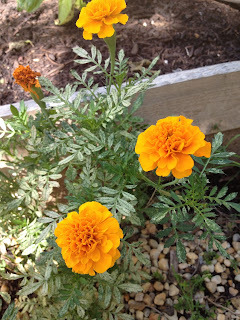 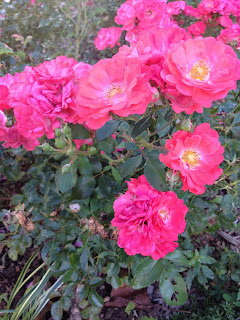 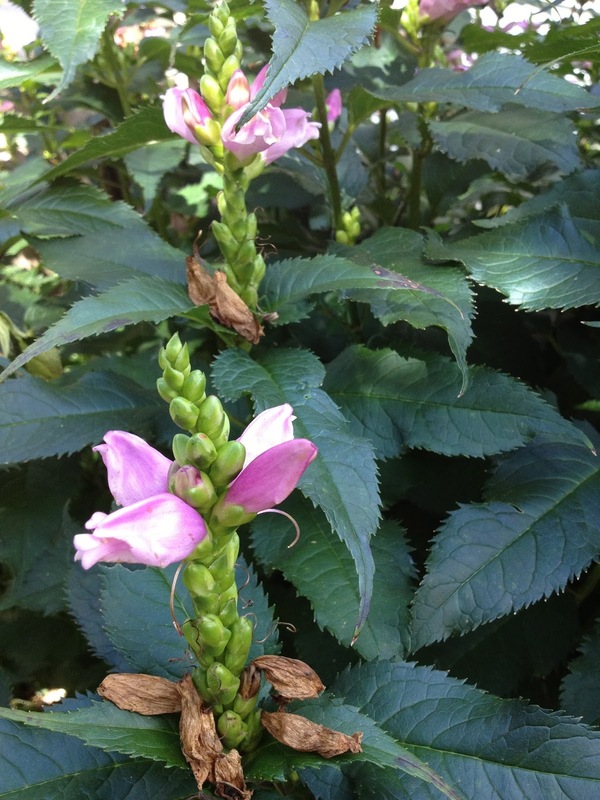 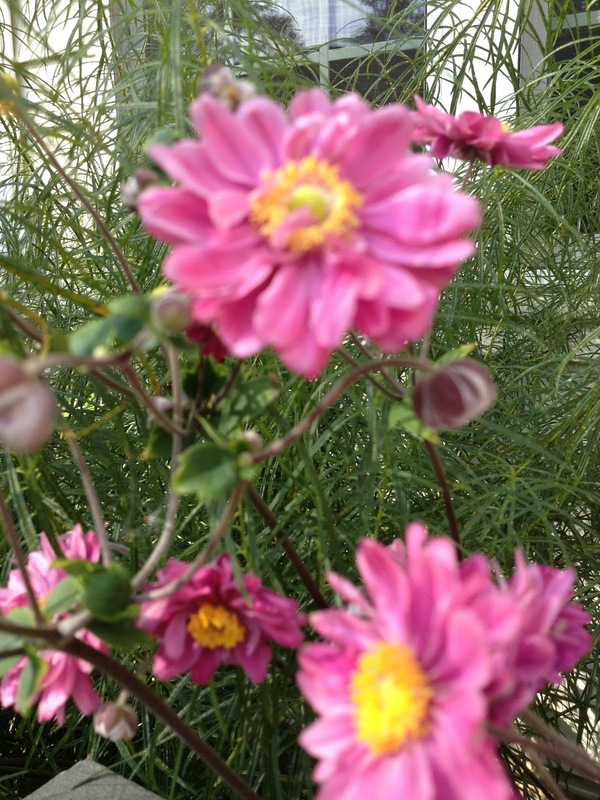 On the 15th of each month, garden bloggers post pictures of what's in bloom in and around their gardens. 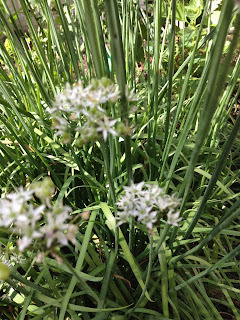 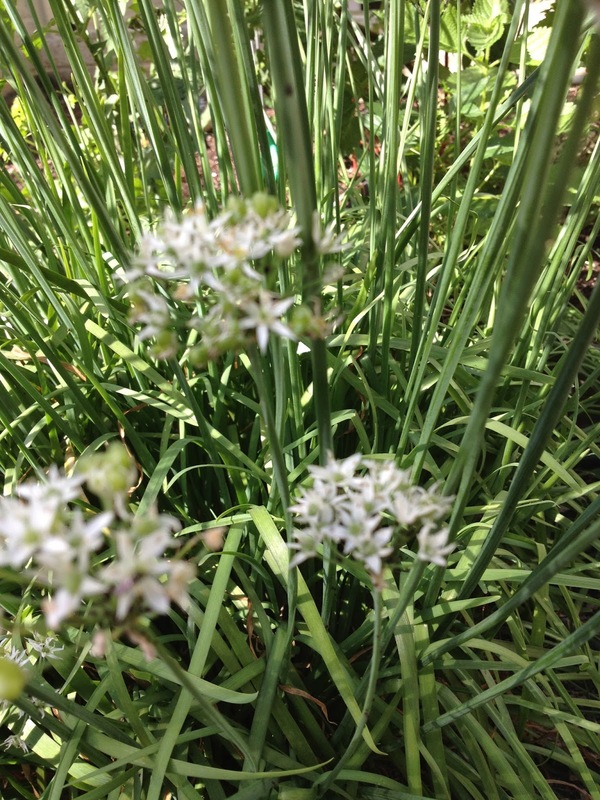 Allium tuberosum (garlic chives) - bees LOVE this! 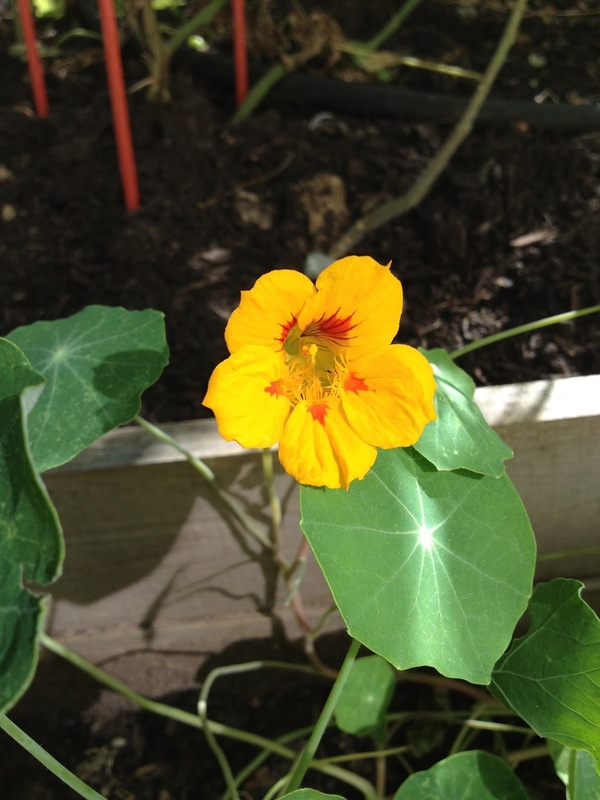 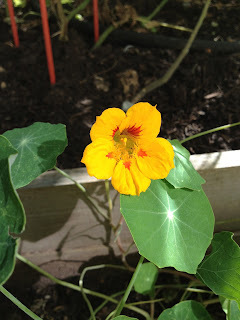 Nasturtium tropaeolum - They'r edible! Carmelo Tomato - where's the fruit?! 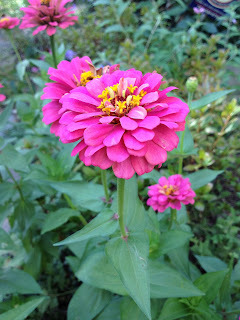 Beautiful...my zinnias die after while...you experience the same? 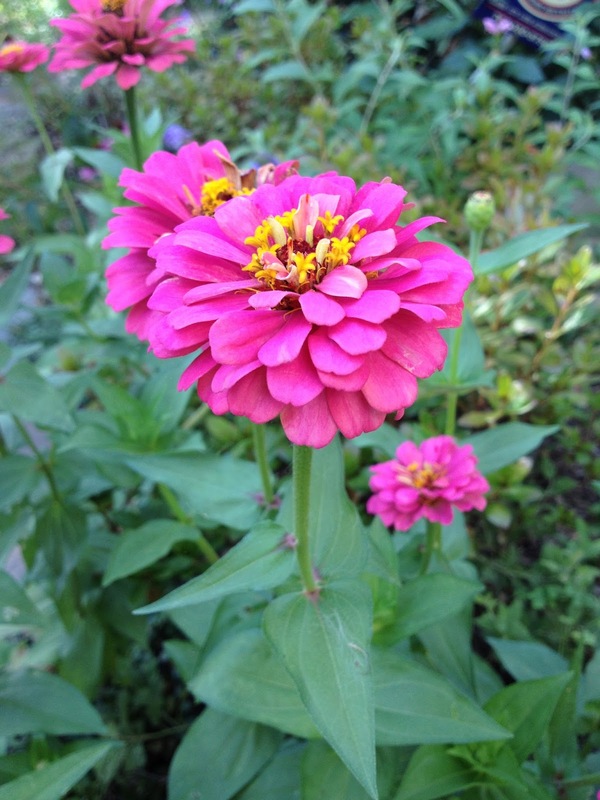 Zinnias are grown as annuals in cooler climates, so they will die at the end of the season. It's easy to save zinnia seeds, which you can plant next spring. Allow the flower to dry completely, then gently remove the remaining pod. 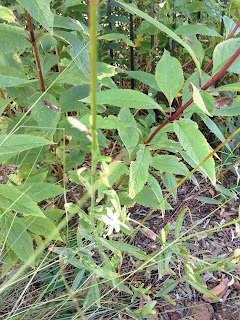 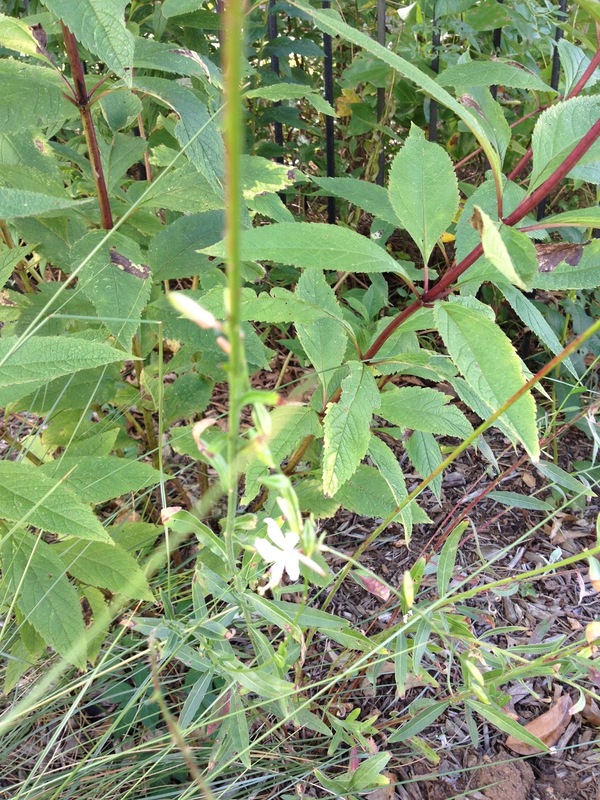 The seeds are the arrow-shaped parts attached to the pod. Store them in a cool, dry place, like the refrigerator and plant after the last spring frost.